Allure proposes a new design to replace the old-fashioned banner stand. The Bow shaped Allure™ Banner Stand includes a premium quality Photo Fabric® tension material printed with your artwork, a lightweight frame and a padded carrying case. 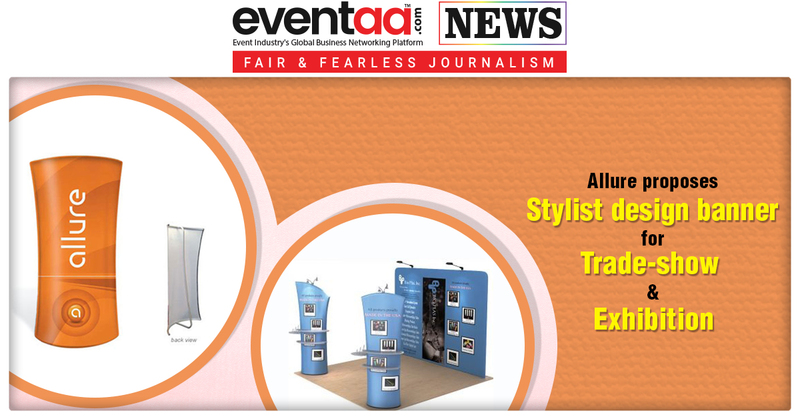 The stand occupies less space and gives a stylish, unconventional look for your booth show. The banner stand is considered ideal for displaying brand messaging and product at trade shows, retail point of purchase, or any special event. Allure™ requires no tools – simply connect the graphic to the frame and set up in less than two minutes. The best thing you can submit and order banner graphic as per your liking online.